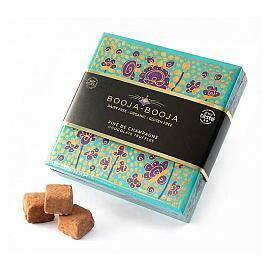 A box of twelve delicious, dairy-free and gluten-free, organic chocolate truffles from Booja-Booja in four different flavours. 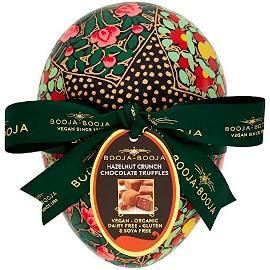 Presented in a minimal, purple and gold, box the Booja-Booja Truffle Selection No 2 showcases some of the flavours in the Booja-Booja range, a perfect way to sample some of the flavours. 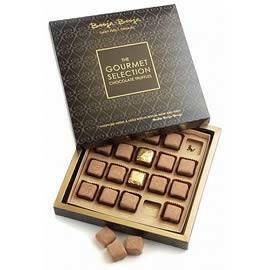 The four different flavours in the number two selection are Almond & Sea Salt Caramel, Rhubarb & Vanilla Fool, Hazelnut Crunch and Stem Ginger. 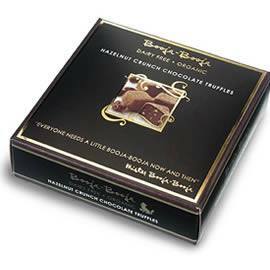 All of these chocolate truffles are vegetarian, vegan, organic and contain no dairy, gluten or GM ingredients. 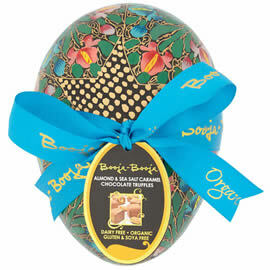 Flavours: Rhubarb, vanilla , hazelnut, almond, ginger, sea salt caramel. 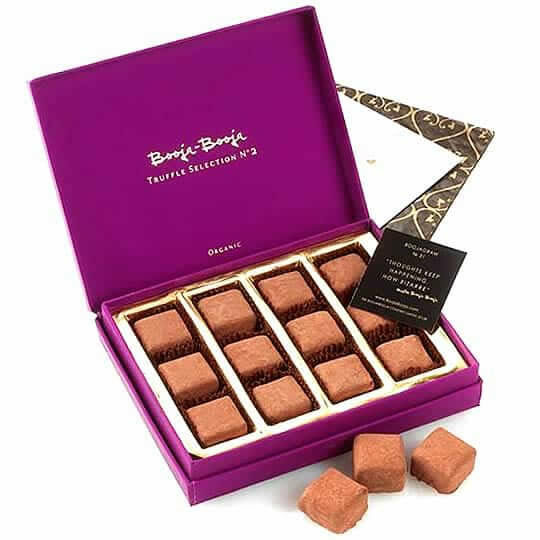 A a tasting selection of Booja Booja Chocolate Truffles, featuring four flavours, presented in a purple box.